"Thank you, AGTrust partners! Our church could not have participated in the Acts 2 Journey without your generosity. We cannot articulate fully what the experience has meant to us at Humboldt First AG; this kind of change and growth could not have been achieved any other way." 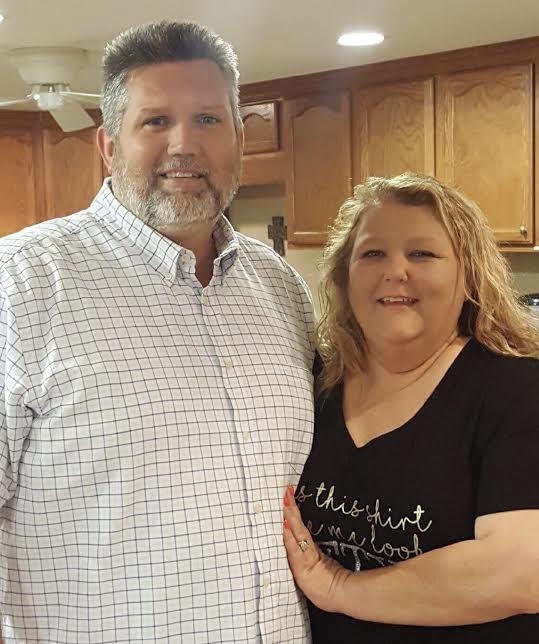 When Mark Hodge and his wife, Charity, came to First Assembly of God in Humboldt, Tennessee (18 miles northwest of Jackson), as senior pastors, the church was financially sound but going through some transitional difficulties. In 2017, Pastor Mark and his church leadership team began participating in the Acts 2 Journey cohort sessions, led by Alton Garrison, Assemblies of God assistant general superintendent, and director of the Acts 2 Journey Initiative. Mark is sharing that vision with the congregation by utilizing the tools Alton Garrison shares in his book, “A Spirit-Empowered Church,” and he is seeing the people gain insight as to how growth can happen in their hearts, the church and their outreach to the community. On behalf of Humboldt First AG, Pastors Mark and Charity Hodge (center) present a monetary gift to the Humboldt Area Rescue Squad. The youth of Humboldt First AG gathered to fill bags of food (on the table and floor), which are given to children in the Humboldt School District to ensure they have weekend meals to eat. In their weekly services, the congregation is reading aloud the core values they have identified as a church and are attempting to live out in their daily lives and in their ministry to the community. Currently, 1,152 churches, including Humboldt First AG, have participated in the Acts 2 Journey. Thanks to AGTrust partners, 821 of those have received scholarships to assist them in the one-year journey to better health. You can help Transform America with your gift today to help strengthen more churches by providing scholarships to enable them to take the one-year Acts 2 Journey toward better health. Simply designate your one-time or recurring gift to AGTrust. Thank you for your support!